Appearance: Grey limestone with blue/violet background, significant flame and scattered fossils. It has numerous rounded remains of recrystallized shell fauna (up to several cm in size), slightly darker than the base colour. Properties: Dense biomicritic limestone with high strength and high resistance to frost and salt crystallization. It is a suitable raw material for external application, even if we recommend it for internal use only. The micro-holes are typically filled. It is recommended to seal this stone to extend its longevity. 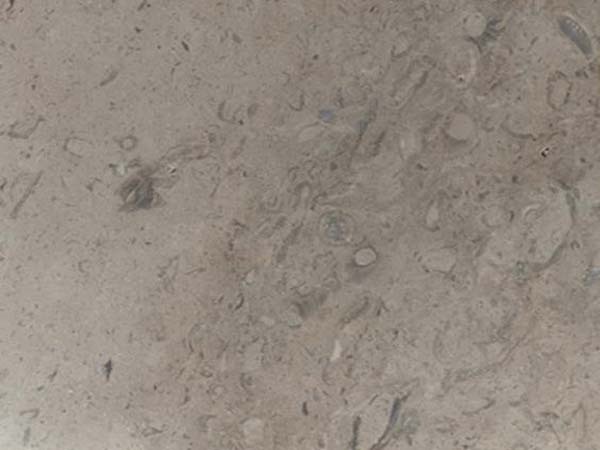 Use: Due to its wear resistance, this limestone is suitable, after sealing, for all internal uses in domestic housing. Finishes: Polished, honed, flamed, bush-hammered and custom-made finishes.